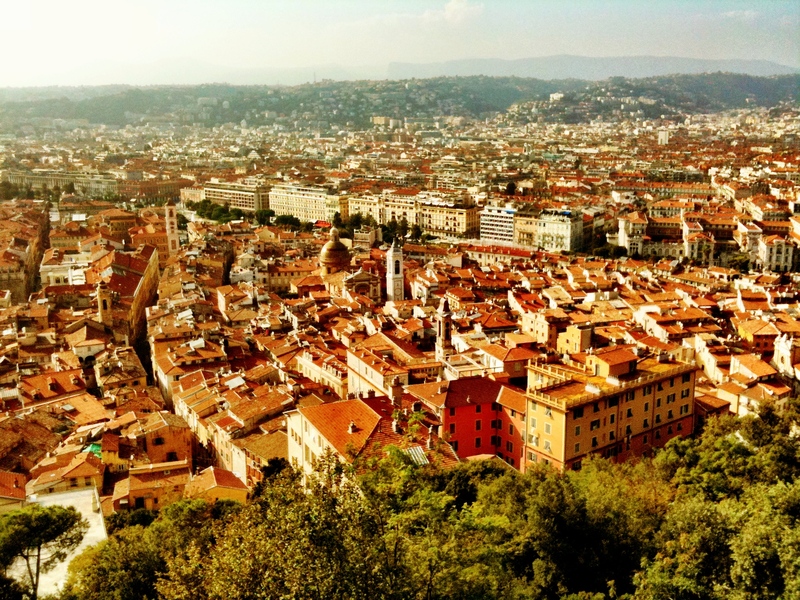 The only word to describe Nice at the moment is: glorious. The summer is in full Mediterranean bloom and the weather is beyond perfect. The deep aqua sea is putting on its best sparkle for the hordes of visitors who stare in awe and the magic golden sunshine saturates every corner of the city until 9 pm. The sun is out in full force now, and there is just enough of a gentle sea breeze to keep the air from being too hot. But in a matter of hours I will be waving goodbye to all of this and setting off for three months of solid travel. What started as a simple pan to see my family and check on my condo back in the US, has turned into a full blown, summer-long, round the world, travel extravaganza. My upcoming journey will take me from Europe, to the Middle East, to the US, to Asia and back again, through big cites and small islands and everywhere in between. The summer is jam-packed with weddings, birthdays, visits with family and friends and of course some quality time with the Englishman. And while I am excited to see all the people I’ve been missing so much, I’ll admit I am feeling a bit daunted by my staggering itinerary. 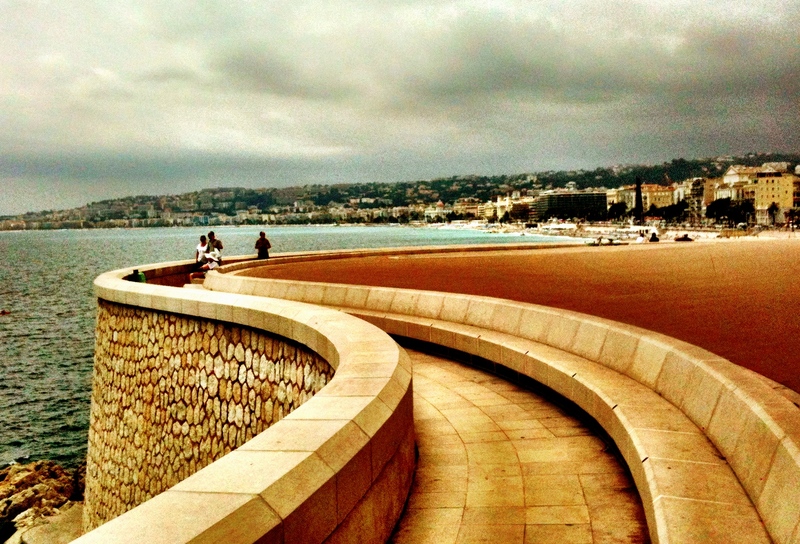 I have only just begun to feel settled back in Nice, but I can’t fight the urge to pack things up and set sail again. I have yet to square my insatiable need to travel with the desire to stay somewhere long enough to get comfortable and let some roots grow. At the moment, mine is very much a life in limbo. It is equal parts exciting and unsettling to have so much freedom, but I know it won’t last forever, so am taking advantage of it while I can. So for the next few months at least, I have reconciled with the fact that the only constant will be the climate-controlled air of the world’s many airports. My travels will start with a late night rendezvous at Heathrow airport’s terminal five, where I will finally see the Englishman again after too many months apart. From there, the whirlwind begins: first from the English countryside to the Corsican coast, and then on to (hopefully) see London bathed in some rare summer sunlight, before we return to the hot, dry, heat of The West Bank, and the sultry seaside in Tel Aviv. After a few weeks in Ramallah I will set off again, for a flying visit through the East and west coasts of the US, and then on to Bali before making my way back through the US and a final return to Nice. The flights are booked and the plans are laid, so now I am left with the hardest part: figuring out what to bring. I am attempting to pack light – something I have never achieved before. I need to prepare for over three months, five countries, and a range of climates, cultures and occasions. I know it will be difficult, but I am aiming to fit all of the necessities along with some sartorial style in one carry-on. Do you think it’s possible?